The entire evening was livestreamed and videotaped. Admission on a first-come, first served basis. No reservations. Please bring photo ID for admission. She is a member of the UAW Graduate Student Organizing Committee and involved in the nationwide Academic Workers for a Democratic Union reform movement. Natassa Romanou is a Research Professor at Columbia University in Climate Studies, a member of SYRIZA and the ecosocialist group System Change Not Climate Change. She is a founding member, SYRIZA-NY and AKNY. Romanou is in Greece for the elections. Iannis Delatolas is an art photographer, a founding member of AKNY, and a supporter of Antarsya-MARS and of the International Socialist Tendency. He has been involved in the antifascist solidarity movement with Greece and in struggles for LGBTQ rights, abortion rights, anti-war, and other social justice causes. Aaron Amaral is a member of the International Socialist Organization (ISO) and a founding member of AKNY. 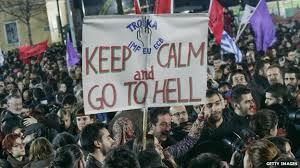 The ISO sister organization in Greece, Internationalist Workers Left (DEA) participated in the formation of the SYRIZA coalition and is part of the Left Platform within SYRIZA. 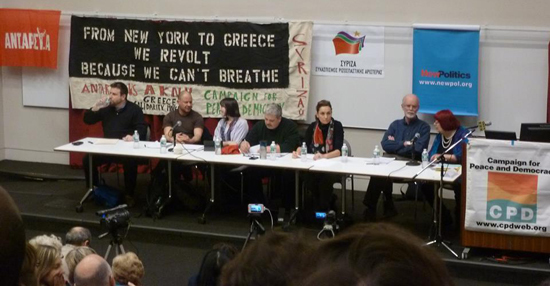 Alan Akrivos is a founding member SYRIZA-NY, a member of Socialist Alternative/(CWI), and among the founders of AKNY. He has been active in the struggle to stop the neo-fascist Golden Dawn in NYC, and speaks frequently across the U.S. on issues of international politics, labor, and socialism.